These notebooks are from Society6. They have wraparound artwork, 52 pages of high quality 70lb text paper (minimal show-through even when you use heavy ink) and come with an anti-scuff laminate cover. Available in lined and unlined versions. Buying a set of 3 you save $7 and buying today you also get $5 off and free shipping. 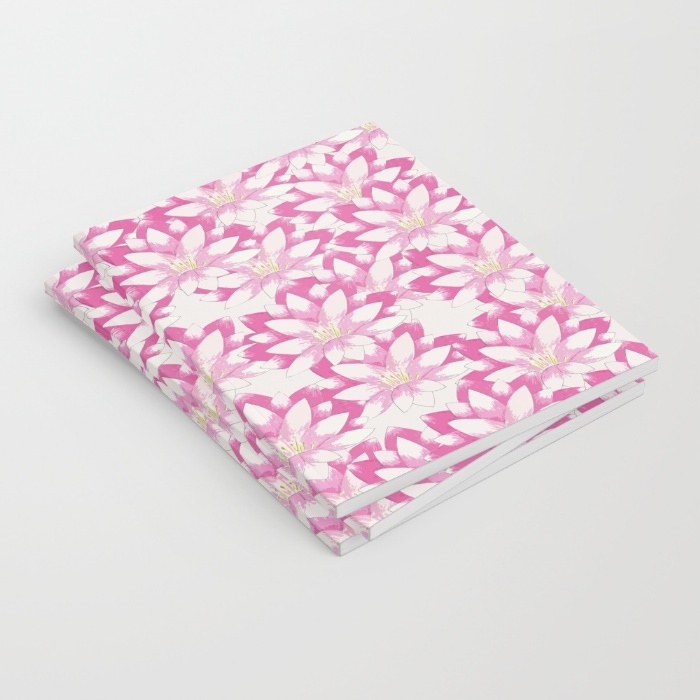 The notebook pictured is the Lotus flower pattern and all notebooks by me are here.